Ferrania Zeta Duplex, inserito originariamente da John Kratz. 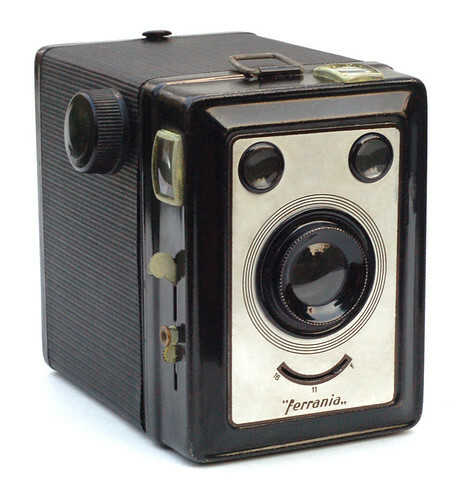 With this design, Ferrania made it easy to "smile for the camera". The Zeta Duplex is a metal box camera, made in Italy c1940-45. Exposures (on 120 film) can be 6x9cm or 6x4.5cm, and I'm guessing that's why it's called "Duplex". This little guy has lost his handle, but it doesn't seem to have dampened his spirits!